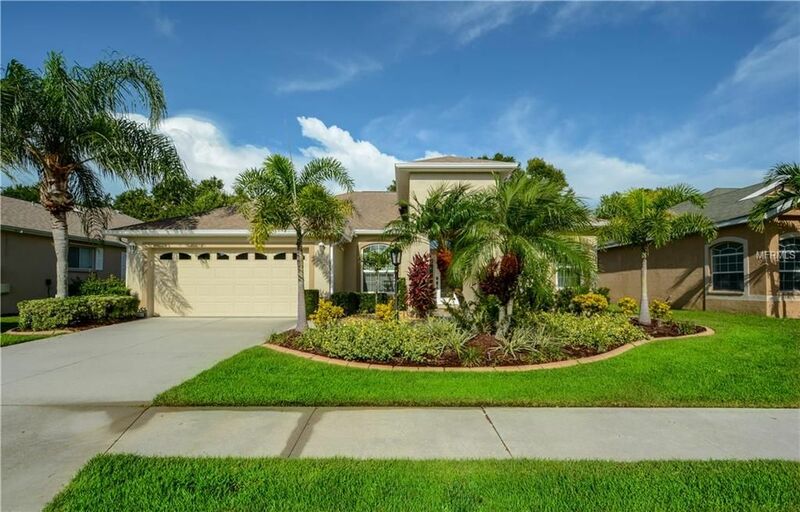 Lifestyle Homes of Sarasota, member of The Kristan Cole Real Estate Network Just Listed a home at 10441 Old Grove Circle, Bradenton Florida. This Beautiful pool home is light & bright with a spacious and open floor plan including volume ceilings. Located in the lovely golfing community of Greenfield Plantation these 3 bedrooms 2 bath offers walk-in Closets and privacy for all. Formal living and dining area with Great room for entertaining family and guests. Ceramic tile flooring throughout with carpet in the bedrooms. The spacious master bedroom features a large walk-in closet, master bath with double sinks, walk-in shower, and a Garden Tub. Enjoy swimming and floating in your own Pool that can maintain the perfect temperature either by solar heating or by its backup gas heater year around. The Pool pump replaced in 2018 and Resurfaced with Pebble Sheen . The exterior was repainted in 2016, The garage floor was finished with Arista Crete polyaspartic (epoxy) Newer ENERGY STAR Qualified Window Impact windows. The HOA here is ONLY $465/YEAR and there is NO CDD FEE allowing you to afford more worthy pursuits! A-Rated Schools are easily accessed via the community without the need to cross busy streets. Conveniently located just 2 miles east of I-75 allowing close access to all that the Sarasota-Bradenton area has to offer. The recently opened Fort Hamer Bridge just to the north makes this location even more desirable. Enjoy the scenic drive over the new bridge and you will be at the Ellenton Outlet Mall in minutes. Plus, the new bridge allows for an easier commute to St Petersburg and Tampa.